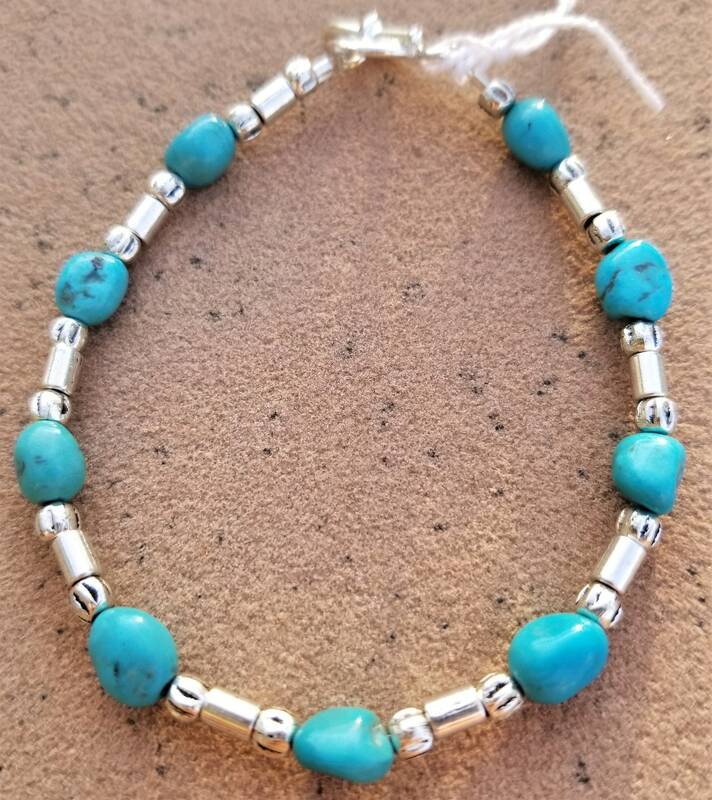 Lovely nuggets of Sleeping Beauty turquoise grace this pretty bracelet. Easy going piece to wear and it will look great with virtually anything. Feel free to layer it with other bracelets.